Target Audience/grade level: Adapted physical educators and/or physical education directors are the target audience. Grade level educators K-12 teaching adapted physical education will benefit from this presentation. Webinar Description: This webinar from PE Central will introduce participants to key legislation impacting adapted physical education policy development in program planning. Further, the importance of a properly constructed IEP for children with unique motor needs is highlighted in light of both IDEA and ADA compliance issues. Participants will understand the major points related to IDEA, ADA, and FERPA. Participants will be able to link key legislative points to policy making in APE program planning. *Certificates of Attendance for this webinar will be distributed on the 1st and 15th of each month or the closest business days following those dates. In order to receive your certificate, email courses@ssww.com that you have finished the webinar. Francis M. Kozub is a full time Professor at the College at Brockport. He started his career as an Elementary/Adapted Physical Educator in the Public Schools in New York from 1986-1994. 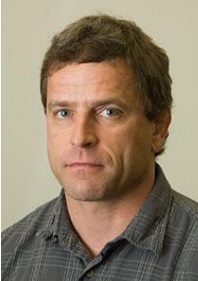 Since completing his PHD in 1997 from Ohio State University, Dr. Kozub has worked in University settings teaching mainly Graduate courses in Physical Education Pedagogy and Adapted Physical Education. Currently, Dr. Kozub is the Graduate Coordinator teaching in the Adapted Physical Education Masters track.